Experience life of the 1890s with amenities expected today. Meals like Grandmother's. A night sky so dark you can see everything. Join other guests like this reunion group today. 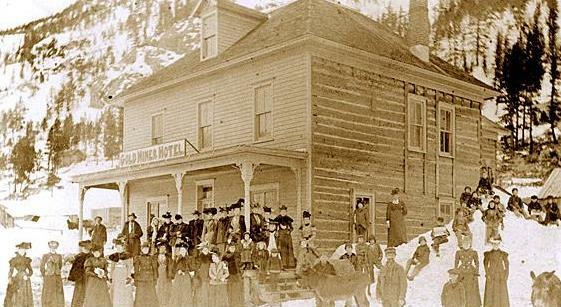 The Hotel today appears just as it did when it was built in the Winter of 1897. A hundred years later The Hotel was selected for listing on the National Register of Historic Places. It is the centerpiece of the Eldora Historic District. In the following years it became a Boulder County Landmark, was awarded the Green Building Star from the Colorado Green Building Council, The Heritage Award by the Boulder County Parks and Open Space Department and a Stewardship Award by Historic Boulder. See and learn more about The Hotel. 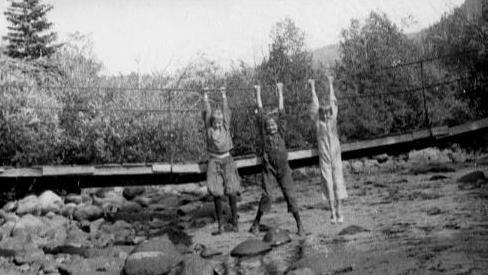 Although more than 115 years have passed since The Goldminer Hotel was built, its people haven't really changed that much. The Hotel was built during a real estate bubble. It was foreclosed only a few years later. Its facade was constructed to symbolize permanence and importance. Its room layout emphasized practicality and hospitality. It has had fewer than a dozen managers and even fewer owners. Each owner has left their mark but all have worked to preserve The Hotel. The documentation of Eldora history gave us a lot of starting points in the renovation of The Goldminer. The Hotel has a collection of oral histories, photos, and publications that detail life in the mining era, in the tourism era, and today. All of these stories of the people of Eldora have similar themes. The hard work of mining. The difficulties of the Weather. The summer stories of the kids and their friendships that lasted a life time. The appreciation of the local ecology. You can read more about remarkable Eldora in our Blog.